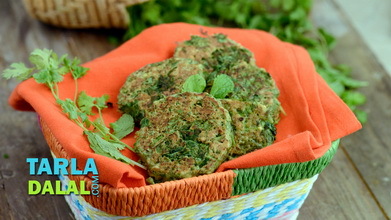 Diabetic-friendly ingredients like chana dal and cabbage, flavoured elegantly with mint leaves and cumin seeds powder, make brilliant tikkis! 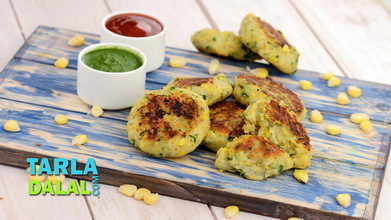 The crispness of the Chana Dal and Cabbage Tikki brought about by the interplay of chana dal and curds is indeed remarkable, but must be had fresh off the tava to enjoy the perfect texture. 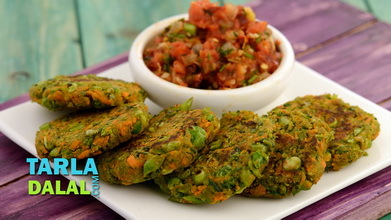 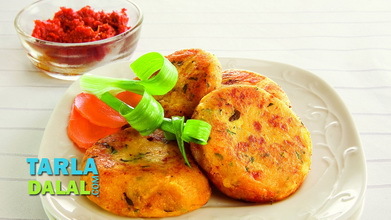 Being cooked with minimal oil, these tikkis are light but still sumptuous enough to keep you going till the next meal. 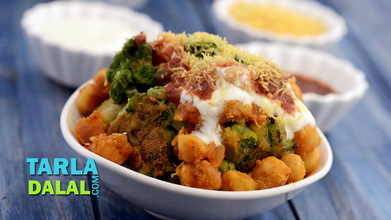 Combine the chana dal, green chillies and 2 tbsp of water in a mixer and blend in a mixer to a coarse paste. 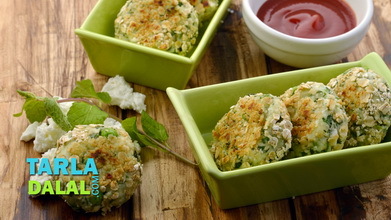 Divide the mixture into 6 equal portions and keep aside. 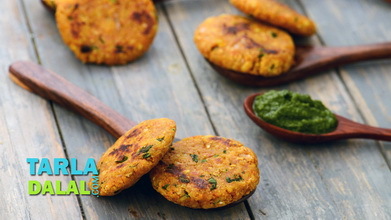 Shape a portion of the mixture into a 63 mm (2½ “) flat round tikki and immediately cook it on the tava (griddle) on a slow flame, using ¼ tsp oil, till it turns golden brown in colour from both the sides. 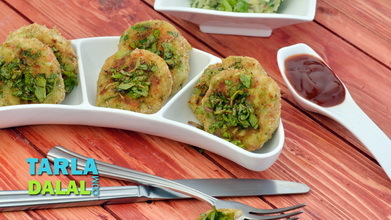 Repeat the step 5 to make 5 more tikkis. 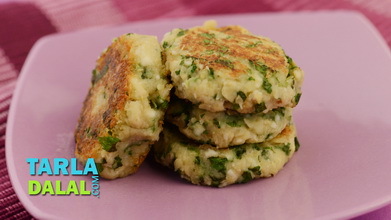 Make the mixture for the tikkis just before cooking them and shape them one by one and directly cook them on a tava (griddle) and also do not shape the tikkis in advance.